Not all countries are the exact same, and swimming regulations and rules are changing from one country to an additional. Thanks to some new Indoor Pools in Baltanás submitted every single day, Swimia.com is growing daily the number of stored pools. Please don't hesitate to contact us if you come across any inaccurate or incomplete information. Are you a standard swimmer? Do you visit the same Swimming Pools? Please check that all of the information for your aquatic center are correct and contact us if you ever discover any mistake. Traveling to Baltanás? This is the right spot on the internet to find places to swim in Baltanás. Each day you are not swimming you're losing precious time to enhance your abilities a be a better swimmer! No much more excuses!. Swimia.com wants your feedback to ensure all of the knowledge is valid, because maybe this pool is no longer open to the public. 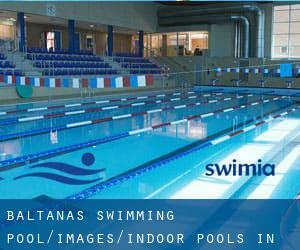 Please check the nearest Indoor Pools in Baltanás or Contact us to ADD IT. It is cost-free! Updated on 2019 Paseo de la Julia s/n 34004 Palencia. Among all the activities offered by the center, if you are considering swimming you might take pleasure in 25 meters x 12.5 meters, 6 lanes, Indoors. If you must get in touch with this Swimming Pool, email address and phone number are both number. Calle San Antonio , Palencia , Spain (Postal Code: 34005). This sports center delivers 25 meters, 6 lanes, Indoors. For this Swimming Pool, only phone number is number here. Updated on 2019 Avenida Campos Góticos , Palencia , Spain (Postal Code: 34005). Swimmers like you reported 25 meters, 6 lanes, Indoors. Unfortunately we do not have the email address of this Swimming Pool, but we can give you the phone number.